The Charlotte Hornets think Michael Kidd-Gilchrist deserves a spot on the NBA's All-Defensive Team, so they made him dress up like a security guard. 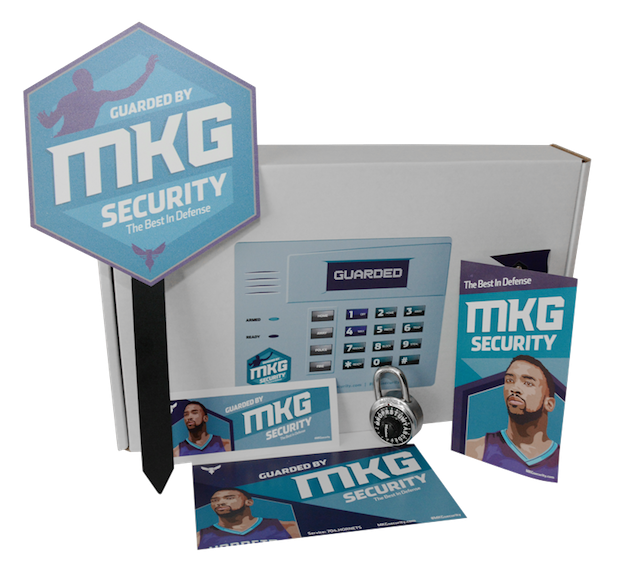 The team made a website, MKGsecurity.com, touting his defensive prowess, too. There you can find MKG's defensive résumé and "customer reviews" from opposing players and coaches. The Hornets also sent a yard sign, window sticker, safe and lock to NBA media. They'll also be giving away a few packages to fans who sign up here.